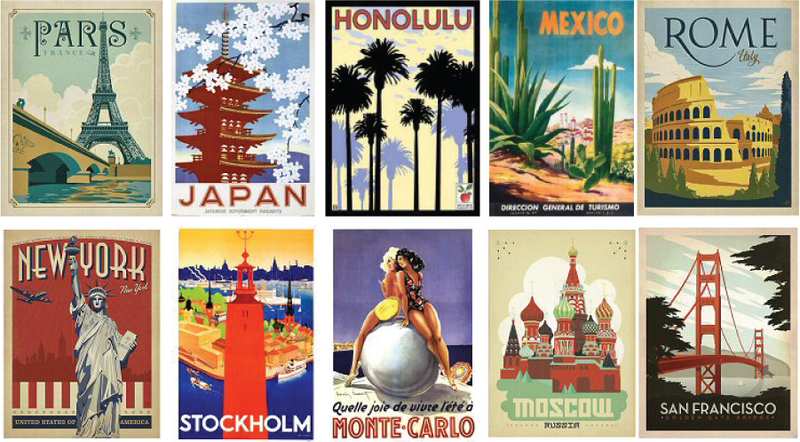 World Travel Tags | Custom Travel Tags and More! Brand new luggage tags from World Travel tags. Excellent customer service and results. From the start I knew I was in good and honest hands. I appreciated the efficiency and the speed in getting them done, and in sending them to Europe. Thank you, Barry, for all your help! Will be back!! WORLD TRAVEL TAGS provides custom luggage tags that are ideally suited for tour groups, travel agencies, and for individual travelers desiring a unique, personalized identification tag for their luggage. Corporate identity, athletic team support, or group affiliation can be expressed through the use of logos, themes, or other custom designs. The front of each tag displays the text and/or logo while identifying personal information is visible by either inserting an ID card or business card into a pouch on the rear of the tag as in our Pouch Tag. ID information can be written on the back of the tag as in our Write-On-Tag or permanently sealed in the tag as in our Laminated Tags. Please explore our main menu categories for a detailed description of all our tags including Metal Tags and the very cost effective Paper Tags. Some of our custom luggage tag samples are shown below. WORLD TRAVEL TAGS also supplies a variety of Document Holders for all your travel needs. 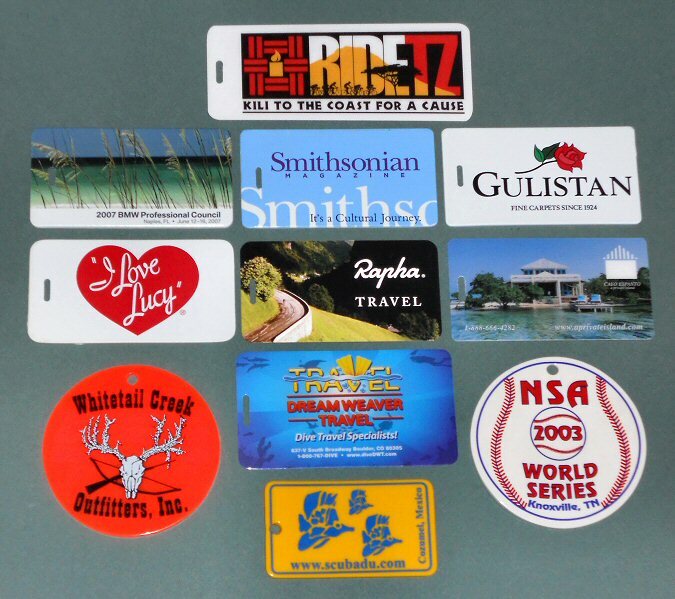 Above are a few examples of custom luggage tags made by World Travel Tags.